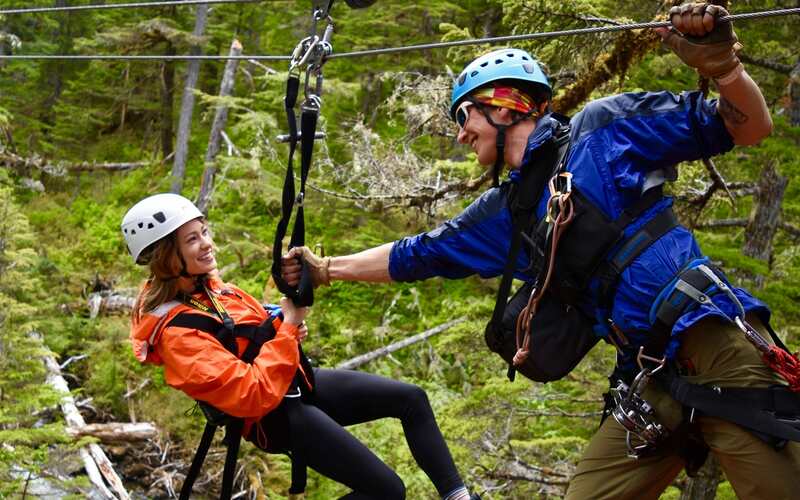 Soar through a tree top zipline adventure in the Alaska rainforest on mountainous Douglas Island. Welcome to Juneau’s all-time peak experience! 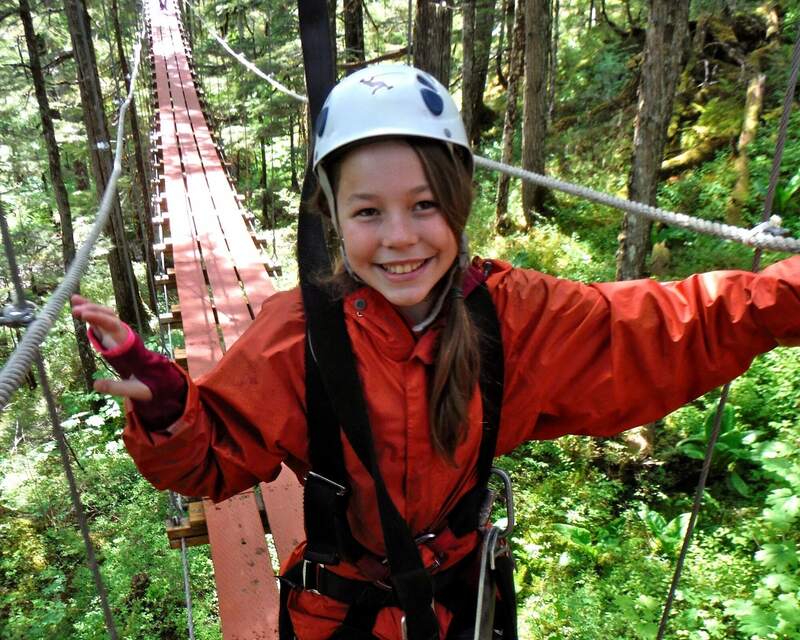 You’ll navigate along a series of five ziplines and a suspension bridge, never leaving the treetops! If you’re nervous, you can build your confidence on 2 practice zips. And since there’s no hand-braking required, you can just sit and zip on this adventure through the rainforest canopy. 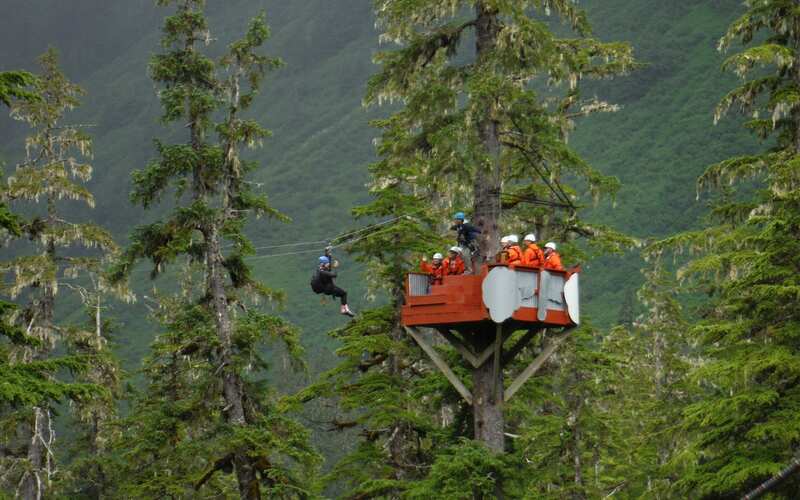 You’ll start out in the heart of the Tongass National Forest at Eaglecrest Ski Area in Juneau. 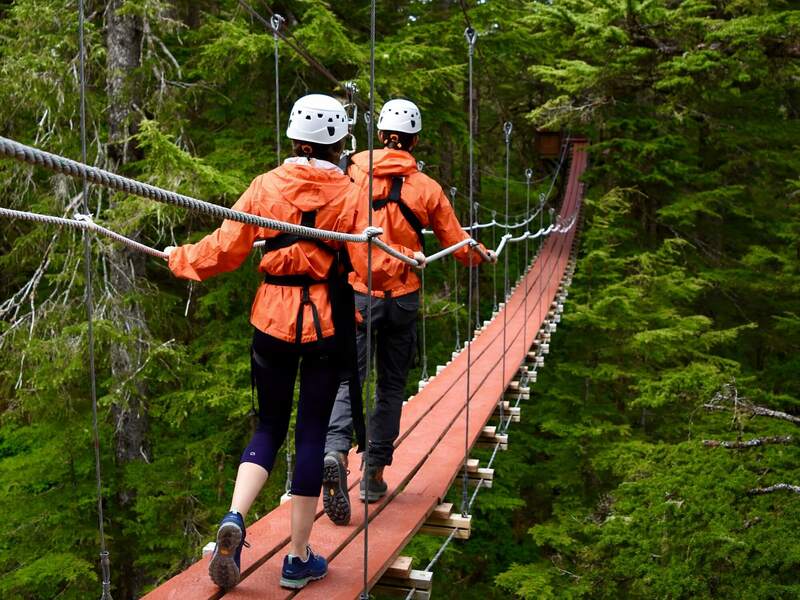 After a narrated drive to Douglas Island you’ll be surrounded with mountain views and pristine old growth forest. Once you’ve arrived at the lodge, you’ll be greeted by friendly and knowledgeable guides who will outfit you with top of the line gear. 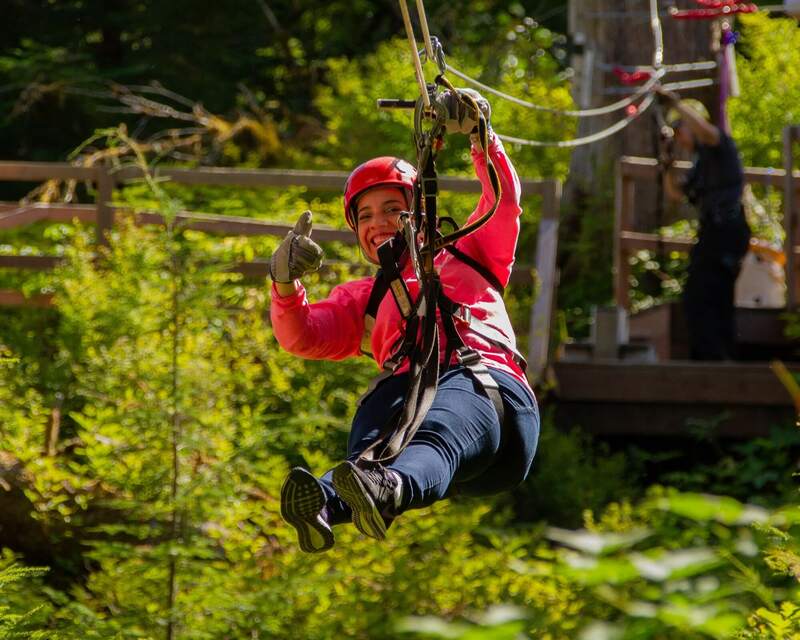 We take fun seriously, so you’ll have a safety briefing and optional practice zips before taking your “leap of faith” into the trees. As you make your way through 5 ziplines, with the longest zip being about 600 feet long, you and your guide will stop and land in fully enclosed treehouse platforms where you can take in the scenery or snap some pictures. 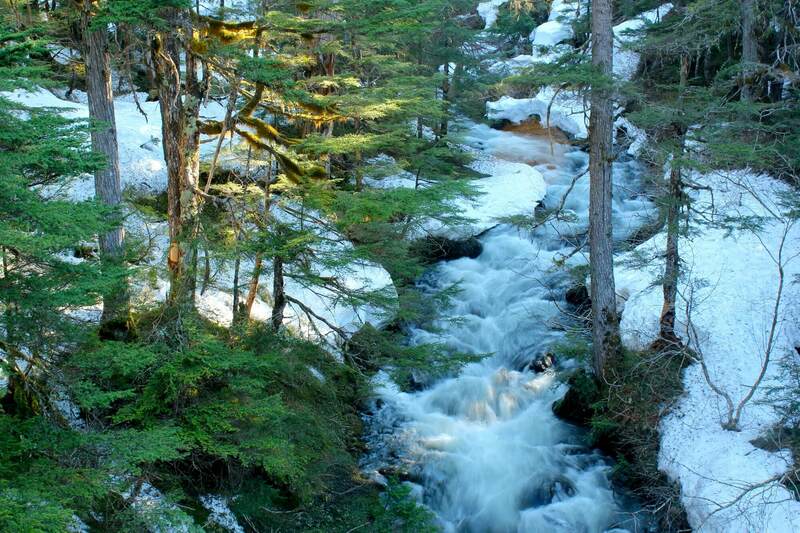 Hear about living in Southeast Alaska and the forest flora and fauna you’re seeing. Close to the end of your trip, you’ll cross a suspension bridge over a rushing stream. Top off your tour by embracing your inner lumberjack and try your hand at Axe Throwing. Back at the lodge you’ll have time for a light snack while watching a slideshow of the pictures your guide has taken of you during your adventure. There’s a gift shop where you can purchase your pictures and other mementos of your time in the trees. Please Note: Guests should be comfortable with heights and walking up about 50 stairs. This tour is not recommended for people who are pregnant, have seizures or recent neck, shoulder or back injuries/surgery. No hand-braking is required on this course, so you can sit and zip while your guides handle all the equipment and keep you safe. The guides will also be on hand to enhance your sense of adventure and fun! Wear layered clothing and bring a rain jacket. You'll be outside for 2 hours. This experience involves an increased amount of physical activity including walking over uneven terrain and extended periods of standing. 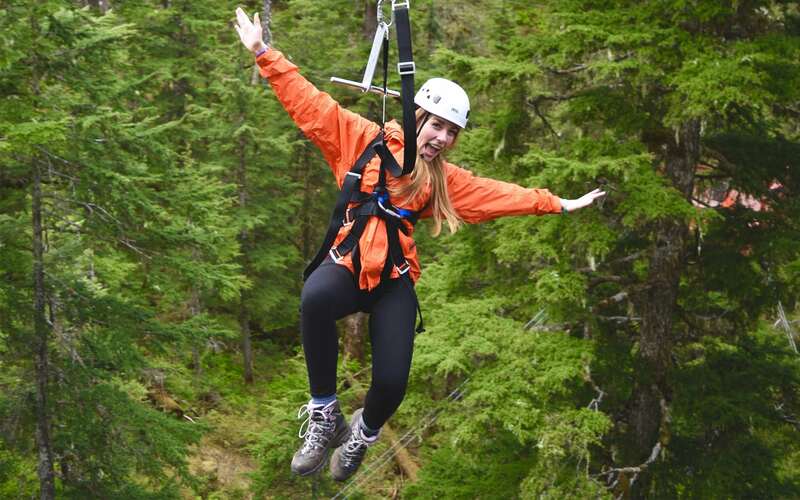 Last minute we decided to try zip lining in Alaska. Our guides were Matt and Alexa and we had an amazing time! We zipped 5 lines, loved the views and the amazing feeling we had as we zipped over the trees far below us. Our guides did a great time making us feel comfortable while ensuring we had lots of fun!! They were great! The best was our ax throwing competition we did at the end. What a blast! 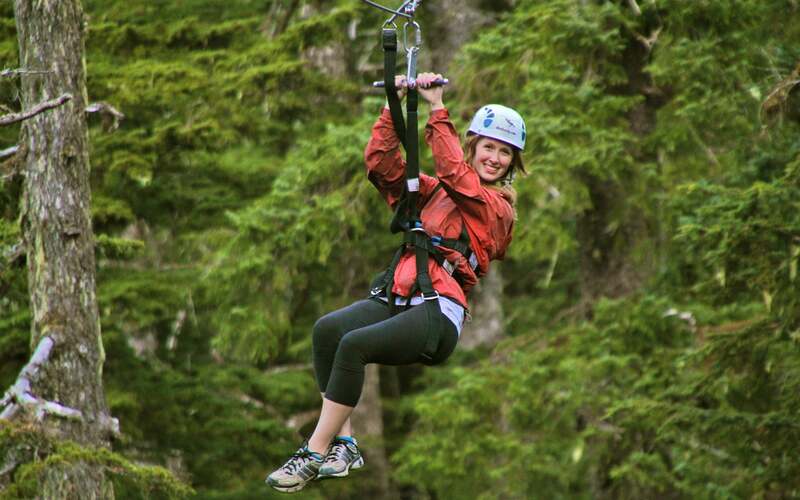 As a first time zipliner, I felt very comfortable with the safety gear, staff instructions, and staff guides. This is a zipline course set up on the ski slopes. There are several stations or perches set up that travel from tree to tree. So you're pretty high in the air. This course is beautiful! Great for first timers. Max weight is 250 lbs. 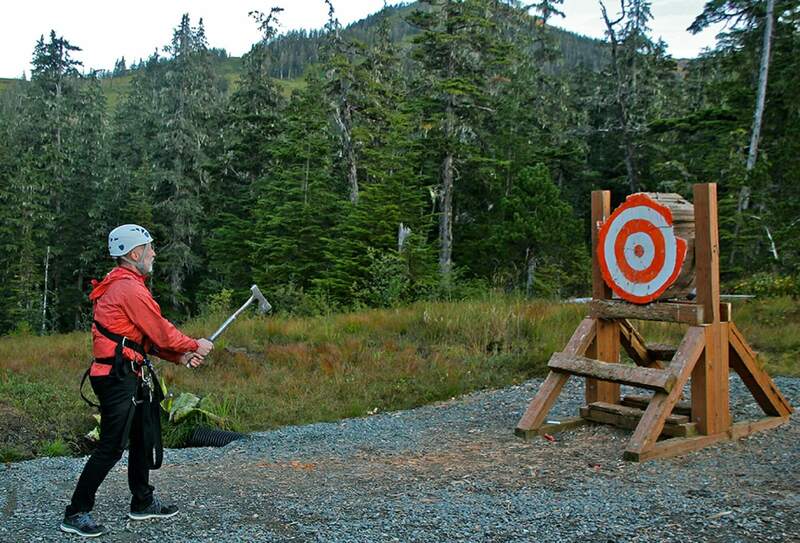 After completing the zipline course you get to learn how to throw a lumberjack's axe at target. After a couple tries, the skill is not that difficult. Bring your camera or go pro. They also take snapshots along the course and you can purchase all of the digital photos. We purchased one set and emailed the photos to the other people in our group. This was my first ziplining experience & I was extremely nervous. The guides helped me feel confident & secure so I was relaxed enough to enjoy the views. Our entire group had a blast & it was a memorable adventure! Thanks Syd & Salix!!! Kawanti Adventures and Taquan Air take you places you've only imagined. Live your dreams. Check us out and book your adventure today. © 2019 Kawanti Adventures. All rights reserved.